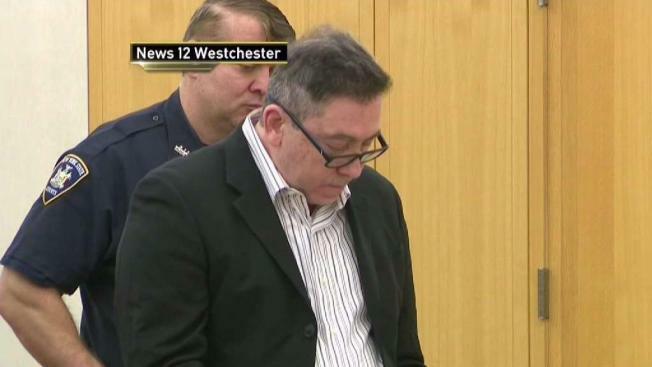 The Scarsdale man who killed his prominent doctor wife has accepted a plea deal and is sentenced to 20 years in prison. Stacey Bell reports. A Scarsdale man has been sentenced to 20 years in prison for stabbing his prominent pediatrician wife 22 times while she was in the shower, killing her. Former tax attorney Julius Reich faced up to 25 years in state prison after pleading guilty to manslaughter charges in the death of his 58-year-old wife Robin Goldman, a pediatrician who worked for a children’s hospital in New York City. Reich initially pleaded not guilty two months after the January 2016 murder, but ultimately took a plea deal. His three adult children wanted to “avoid the trauma of a trial,” the Westchester County District Attorney’s office said. “The children are in complete agreement with the plea of manslaughter in the first degree, as such a disposition would make their 64-year-old father accountable for his actions,” the DA’s office said. Police in Scarsdale, New York are investigating the murder of a 58-year-old woman found dead inside her home. The man who made the 911 call, is now in custody for questioning. Michael George reports. “They are relieved their father finally accepted responsibility for his actions and his plea will help them move forward and bring finality to a horrific situation,” it added. Reich and Goldman were going through a divorce when Reich, who had been living part-time at an apartment in Manhattan, went into the upstairs bathroom at their Scarsdale home and stabbed Goldman 22 times while she was showering, the DA’s office said. After the attack, Reich left the bathroom and called 911 “sometime later,” according to the DA’s office. Police found Goldman’s body in the bathroom and arrested Reich at the scene. Goldman’s death marked the first murder in Scarsdale in almost 40 years.